Dimitrios (ATHENS, Greece) on 20 January 2018 in Lifestyle & Culture. They look a perfect couple! @Blikvanger: they are made by the best cook in Athens! Very well named. I'd like to give both of them a try with a cup of coffee. Hahaha, great title and a tasty photo. I am drooling here my Greek friend !!!!! @Devi: well get on the plane! Ah, now that looks like real bread . . not the rubbish I get to eat. 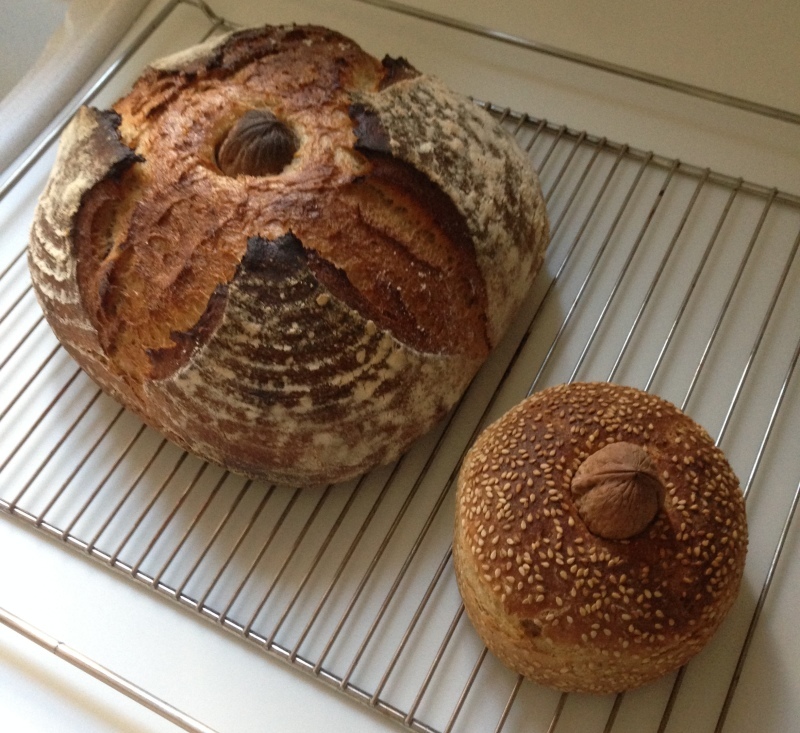 la mère et l'enfant et cette noix quels beaux pains.